For the Jacobites, it was a battle for Irish sovereignty. The forces under King James numbered 25,000, comprised 19,000 Irish Catholics and 6,000 French forces. The daughter of James was actually married to William, who at that time was the Prince of Orange, who also happened to be a Protestant. On the other hand, for the Williamites, it was about keeping the English rule in Ireland, as well as the continuation of Protestant interests in the country. 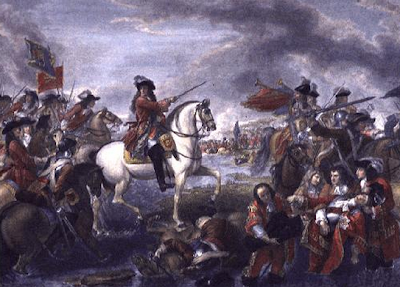 William III of Orange led 36,000 troops to battle. They were aided by Danish mercenaries as well as Dutch and English soldiers. When Prince William won, he became known as King William III. The date of July 1 in the Julian calendar is the equivalent of July 11 in the Gregorian calendar. The switch of the calendar happened in 1752 and it is the calendar we use today. However, the holiday is celebrated every July 12. It is said that the reason for this is because the Orange orders were quite suspicious of the accuracy of the Gregorian calendar, so they opted to use the corrected date of July 12, rather than July 11. In Northern Ireland, it is a bank holiday or a non-working holiday. If the 12th falls on a weekend, the next closest Monday is declared a bank holiday instead. This particular day is called many things. Orangemen’s Day is the most popular, but it can also be abbreviated to Orange Day. Because it’s celebrated on the 12th of July, it is also called The Glorious Twelfth, or more simply, The Twelfth. There are many activities that form part of the festivities. First, it is a national non-working holiday, allowing people to participate in the different events. The celebrations kick off with a giant bonfire on the eve of the Twelfth. This is a family friendly gathering that is widely attended by Protestants in the country. Walks or marches are the most common activity done during this day. This often starts at the Orange Hall and makes its way through the town. The participants wear dark suits. Those who wish to stick to the classic form wear black bowler hats along with white gloves. However, this is not as common today, especially during warm weather. Collarettes made from a long thin piece of orange colored cloth that is draped around the neck forming a V shape at the front are worn. Most of the marches are organized by Lodges of the Orange Order and so the wearer is identified with the badge from the lodge that he belongs to. There are also participants who use a ceremonial sword as part of the day’s attire. For the women who participate in the marches, they wear formal attire, since a standard dress code has not been established as it has for the men. Orangemen also use tin whistles and march to accordions as well as lambeg drums in honor of King William III’s historical victory. The cities are also decorated with street murals showing King Billy riding his white mare as he crosses the Boyne River. The participants of the marches also carry flags depicting their beloved King Billy on his white steed. British flags also are used to decorate the streets. 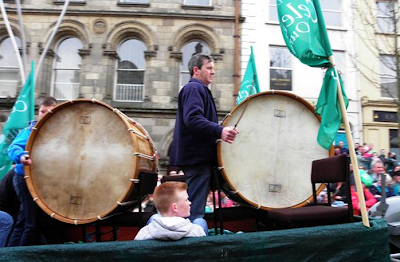 There are also contests held, especially lambeg drumming. The massive lambeg drum also happens to be one of the loudest acoustic instruments in the world, along with the bagpipe. Church service is often part of the celebration, as well as speeches by important and high ranking individuals belonging to the Orange Order. Unfortunately, these celebrations have also been marred by violence, especially since Northern Ireland is comprised of a population wherein half are Catholics and the other half are Protestants. Much of the tension stems from the Catholics who are against the Protestant celebrations. Some celebrations can get out of hand. At times, Catholic symbols are burned during the bonfires. Raising of certain flags can also offend other groups. Then there are those who imbibe too much to drink and get too rowdy. There are also instances wherein some masked gunmen have been known to fire shots in the air as a show of strength. Environmentalists complain about the pollution massive bonfires can cause the atmosphere. 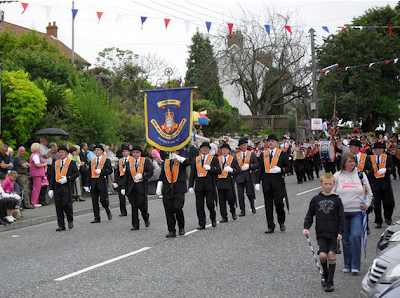 There is also the image that the Orange Order is seen as a sectarian and a supremacist group. The political coloring of the celebration is another reason for some of the tensions that have risen from past festivities. Fortunately today, the celebration is being seen as a cultural celebration, often bringing in many tourists to the country. In fact, in Belfest, the celebration is called Orangefest. Today, Orangemen’s Day is celebrated in various parts of the world. There are celebrations by Protestants in the United Kingdom, New Zealand and Canada, as well as anywhere there are Orange lodges. It's so nice to learn about it. Thank you for sharing the post!